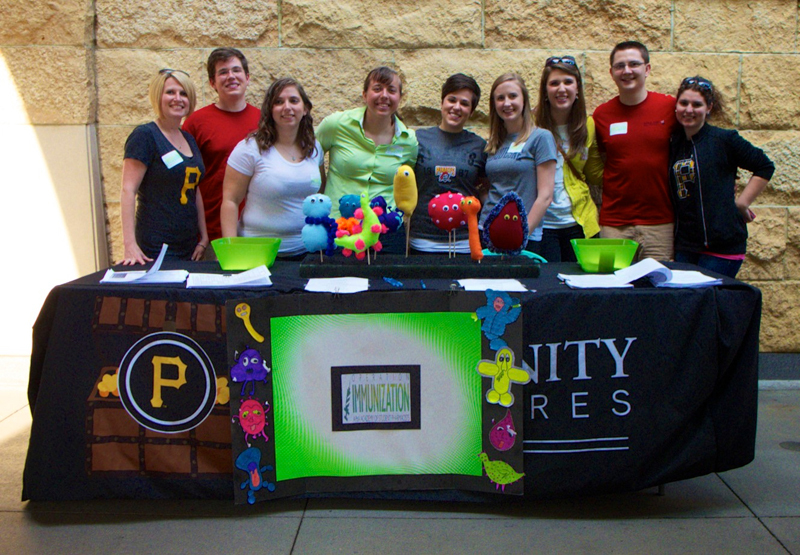 Operation Immunization, a committee within the American Pharmacists Association - Academy of Student Pharmacists, partnered with the Pittsburgh Pirates through their Community Treasures Program to host an Immunization Awareness Night at PNC Park. 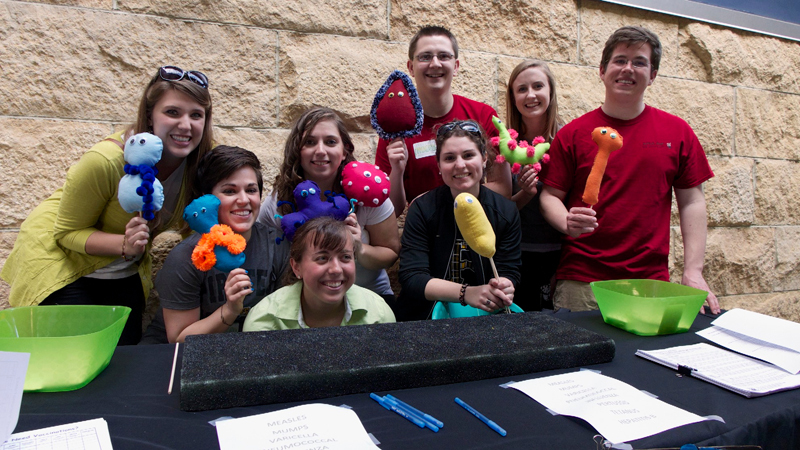 This event gave student pharmacists the ability to advocate and disseminate in formation about the importance of immunizations to Pirates fans. By selling 100 tickets, the committee obtained a booth by the left field entrance to the stadium where they displayed vaccination schedules, immunization screening questionnaires and an inte ractive game. This game required identifying what bacteria or virus was responsible for certain illnesses based on a clue that was read. Many families and friends came to the table to play the game and eventually became a part of the Operation Immunizati on team by earning a sticker with the committee’s logo. 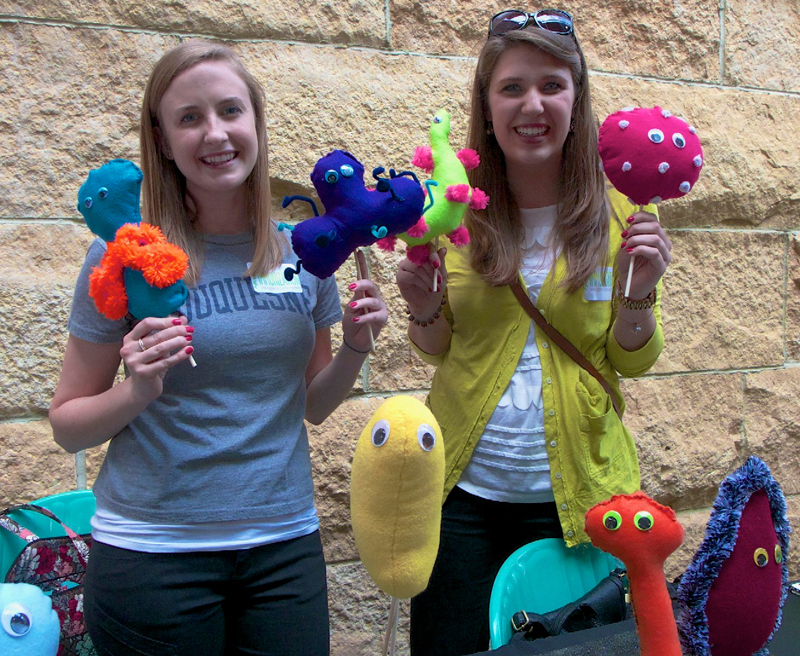 The game provided an opportunity for pharmacy students to ask questions to the fans about their immunization histories and make recommendations as to which vaccines they may be eligible to receive. Many who came and visited left with a smile and valuable information to present to their primary care physician or pharmacist. Despite a game cancellation after the second inning due to rain, the event left a lasting impression on the fans that visited th e booth and showed how influential pharmacy students can be in the improvement of overall public health.